Medical professional-turned-author Tracy Gardner Beno has always been passionate about writing. As a journalist for publications like Vérité Magazine, based near her hometown in Michigan, she is able to empower a far too ignored demographic—women. With her debut book, THE FALL OF OUR SECRETS, she hopes to continue to connect with women readers and gain new fans along the way. 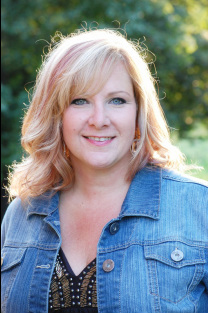 Beno lives in Howell, MI, with her husband, son and daughter. Where did the concept for The Fall of Our Secrets come from? When I was a kid, my best friend moved away to a different state. Being only 9 years old at the time, she and I lost touch after a while. When I began writing the story, I was simply thinking of what it would be like to reunite with a long lost childhood friend. It was only after writing the first few pages that my imagination started to run wild with what-ifs. I tend to gravitate toward stories with a dark side, both in reading and writing. It’s worth pointing out that I’ve since spoken with that much loved friend and her life has held no parallels to Nicole’s, thankfully. What is the significance of Laura and Nicole reuniting miles from their hometown of Michigan? I knew that Nicole would never come back to Michigan, there were just too many terrible memories. She and Laura meet so far from the scene of their childhood, both literally and figuratively, because once Nicole had found a way to remake herself in Texas, she would have viewed returning to the site of her painful beginnings as a sort of undoing. When Nicole does ultimately come “home,” it is on her own terms. John Murdock was challenging. I had to make him real, multi-faceted, and smart to a certain extent. It would have been too easy to write him as a big bad wolf. Nicole has early memories of the man he started out as, the father she wishes had remained. 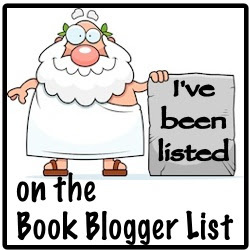 What drew you to the contemporary romance and mystery genres? Life is a mystery romance, at least when it’s most interesting. And contemporary is my comfort zone. Who is Tracy Gardner Beno? Wow, tough question. I’m a mom to two great kids. A wife still madly in love with her husband. A devoted friend. A writer who moonlights as a nurse. An optimist. A music lover, punk rocker, avid reader, horror movie junkie, girl-power advocate. At my best, I’m just a chick filled with gratitude for this journey that is my life so far. What is next in store for Tracy Gardner Beno? I’ve recently finished my third manuscript, a coming of age story that explores nineteen year old Danni’s struggles after losing her twin Derek, falling in love with the wrong man and finally finding the right one. I have thoughts of a sequel which would follow Danni’s BFF Tommie and her bad-boy boyfriend Sean. The prospect of furthering the storylines of this metro Detroit circle of friends is exciting, as they seem so real to me. What two tips can you give writers wanting to write in the contemporary romance and mystery genres? I don’t know that I’m in the position to give advice, but here goes! First, I’d say that a story that falls clearly into the mystery genre OR romance genre will be easiest to find a publishing home for. That being said, I do feel that writers are best at writing what really interests them. Life is a mixed genre. If you love mystery romance, then write it. Write the hell out of it, pull no punches, make it good. Patience, persistence and a healthy attitude toward revisions are necessary assets in the journey to publication. I’ll be at the Howell Opera House for The Fall of Our Secrets book release party and signing October 2nd, 6-10 pm, in Howell, Michigan. I will be at Blue Frog Books October 25th, 12:30-2:30, and will also be participating in a fun ladies night and book signing at The Ceramic Studio, date to be announced. Thank you so much for the opportunity to chat with you today! Together these two best friends work toward uncovering the long buried secrets of Nicole’s horrific past, ultimately freeing her to believe in and embrace the new life she’s worked so hard to create. The friendship nurtures both women and Laura finds her own self confidence and the revelation that what she needs is within reach, hers for the taking. 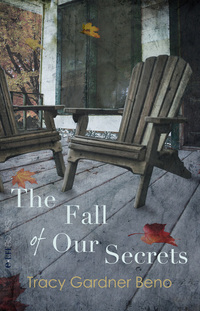 THE FALL OF OUR SECRETS takes the reader on a hopeful journey of love and discovery.